While social gatherings are an extrovert’s playground—so many people to talk to and spend time with—it’s pretty much the opposite for an introvert. Trust me, I’d know. Sure, socializing is fun for about .5 seconds, but then I’m typically hit with a wave of regret, wishing I would have stayed home cuddled up on the couch watching Netflix. (FOMO, who?) There’s a cartoon that sums up the party experience all too perfectly—and will make you feel much better about your introverted ways. Liz Fosslien and Mollie West Duffy, the creators of the oh-so-relatable Instagram account @lizandmollie and the book No Hard Feelings, share real-life struggles through adorable artwork. While many of their sketches are career-oriented, they also dive into the woes of adulthood in general, and a recent post about introverts and the (genius!) 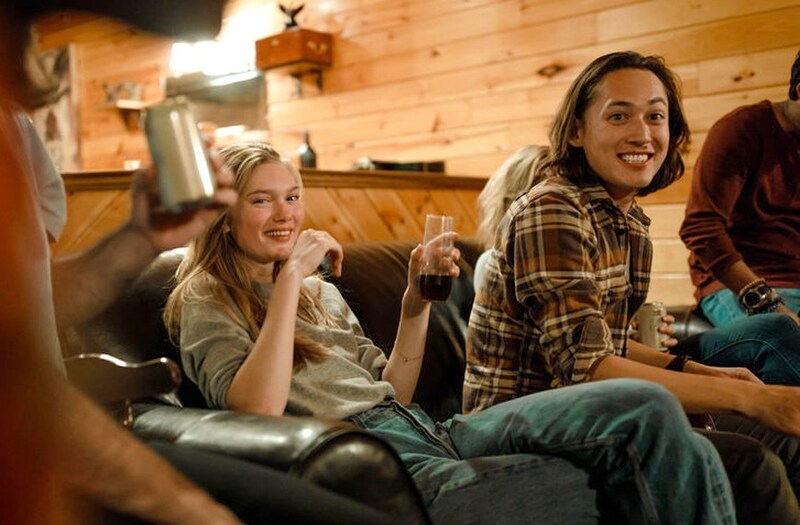 ways the can often be found recharging during parties couldn’t be more spot-on. Instead of hanging with other guests, introverts can typically be found doing one of five things when they need to recharge: playing with pets, flipping through any book within arm’s reach, hiding in the bathroom (AKA the perfect place for a five-minute breather), doing the dishes, and—probably the most satisfying one of all—leaving. Honestly, is there a greater feeling than saying your goodbyes and heading out the door? Now, it’s not that us introverts don’t like who’s there or what’s going on—it’s just nice having some time not talking to people to reenergize a bit. Social gatherings can be seriously draining, especially for those who aren’t blessed with being extroverted. So if you ever find yourself needing a break during all the holiday gatherings to come, you know exactly what to do: Become BFFs with the dog or cat as soon as possible. Try the brilliantly simple method Olivia Culpo uses to recharge while still working. Or, find out why internet stars are taking mental health breaks from YouTube.